A supreme phenomenon. The glistening winter coat, engineered intricately by nature, weaving fine detail into each flake. There is an unmistakable feeling of flight when riding through it, like no other sensation when skiing. But, this exhilaration can come at a cost, in the form of the avalanche. A rupture in the ground below your feet, and within seconds the snow around you can be traveling over 130 kph. An immense force of nature with the ability to uproot trees and move boulders. 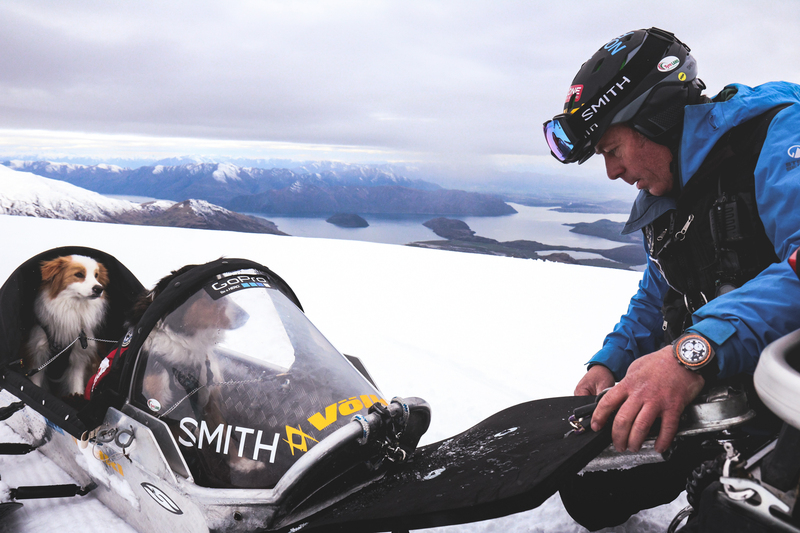 Standing some 2000m (6562ft) above sea level, New Zealand born Matt Gunn is an avalanche patrol and rescue professional at the Treble Cone ski field, located just outside of Wanaka. Matt is also the founding member of the Aspiring Avalanche Dogs rescue team. This autonomous non-for profit organisation is dedicated to the search and rescue of those who are lost in the mountains. In a rescue mission, having a search dog on hand is an immense asset. As they are known for their intelligence, agility, and obedience. However, it is their high play drive that makes them search harder and faster through challenging terrain to find missing people. Furthermore, it is estimated that one SAR (search & rescue) Dog can accomplish the same level of work as 20 to 30 human searchers. It is this stat alone highlights the importance of organisations such as the Aspiring Avalanche Dogs in rescue missions. 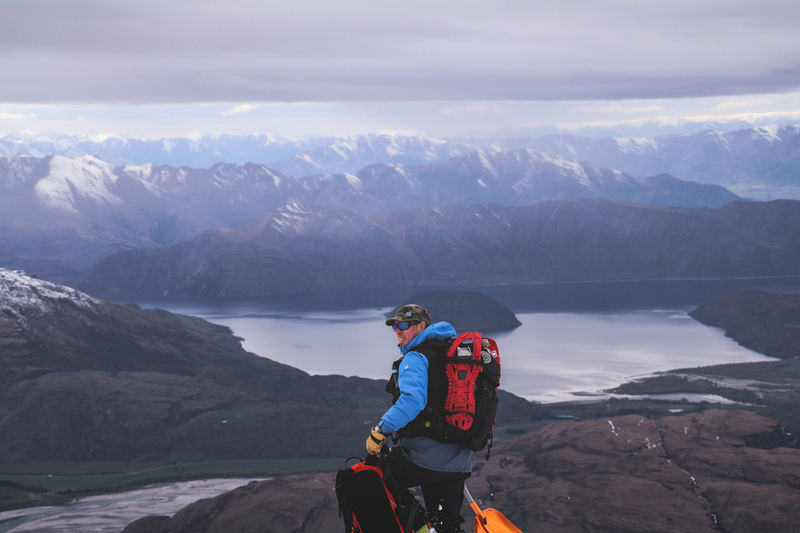 As a mountaineer and mountain guide in the Southern Alps of New Zealand. Matt was involved with many search and rescue missions throughout his younger years. Consequently, he considered how there could be a more effective rescue method. And so he looked to other mountain operations around the world for guidance. In countries such as Switzerland and Canada, dogs had been used for many years in rescue missions. 19 years ago Matt began training his young dog Blizzard. A Border, Collie Crossbreed. Within a few years, Matt and Blizzard had gained LandSAR status. Furthermore, they were introduced to the Treble Cone Ski Resort as their first human/canine search and rescue team early in the 2000s. Rescue dogs are thought to have 40x the sense of smell like that of humans. Scientist believe that humans are constantly shedding skin cells. These are called ‘rafts’ and they contain our distinct human scent. The rafts form a scent cone, expanding outward from the missing person. Once the dog locks onto the scent, it seeks for a stronger smell until it eventually finds what they are looking for. These instincts can be sharpened and trained. This is what a lot of the hard work by Matt and his team focus on. There are search and rescue exams to pass to keep their LandSAR status, along with the ongoing study of evolving snow science. Today, the Aspiring Avalanche Dogs continues to grow with the addition of more LandSAR teams. 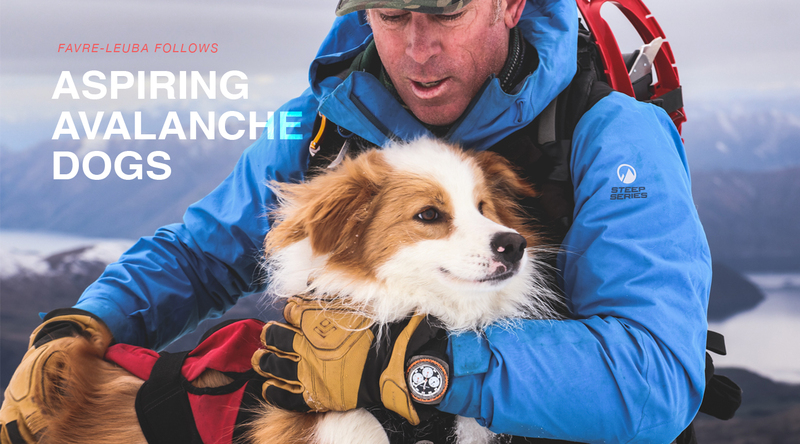 When asked why Matt invests so much effort into utilising dogs over technology, Matt pointed to his second dog, Rocket, and replied, ‘I’ve never seen a transceiver searcher beat a dog in a one-on-one race – they’re just so quick’. Have you ever been to the backcountry? Defined by its remote and unforgiving nature. Isolated, and difficult to access, in other words, an adventurer’s playground. Fresh powder, zero tracks, and open runs. But the backcountry requires knowledge, preparedness, and a certain level of understanding about the realities you face when out there. When those who are unprepared and unaware enter this zone, things can go from good to bad in the blink of an eye. Matt and his team train for search missions in this terrain. The perfect home for his rugged mountain watch, the Raider Sea Sky is a chronograph stopwatch combined with a rotating bezel. 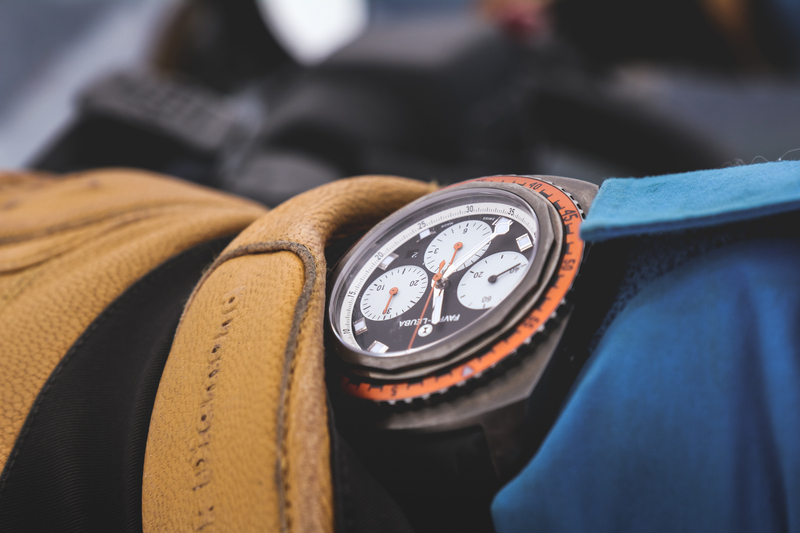 Capable of accompanying Matt into harsh mountain conditions, below zero temperatures, high winds and handle rough abrasive terrain, the Sea Sky chronograph is good on dry land and also in humid and wet conditions. Through the evolution of practicality and functionality, this Favre-Leuba precision instrument is a watch that Matt can rely on. Constructed from the concept that explorers should be able to expect more from their timepieces, the Raider Sea Sky is a tool for exploration, a companion for those conquering frontiers, a product of the backcountry.